Outlaw 퀸 Into The Woods. Please give credit if 당신 use it 또는 post it somewhere else!. 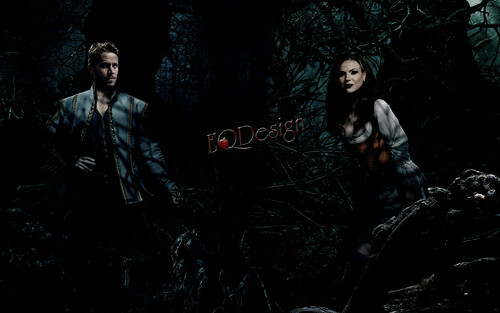 HD Wallpaper and background images in the 원스 어폰 어 타임 club tagged: photo once upon a time outlaw queen robin hood regina mills the evil queen evil queen lana parrilla sean maguire ouat fan art eqdesign eq design oncebg. This 원스 어폰 어 타임 wallpaper might contain 시트카 가문비, picea의 sitchensis, 시트카 가문비 나무, 시트 카 스프루 스, picea 보상 sitchensis, 너도밤 나무, 너도 밤나무, 너도 밤나무 나무, 미국 흰 자작 나무, 종이 자작 나무, 페이퍼 바크 나무, 카누 자작 나무, betula의 cordifolia, betula의 papyrifera, 아메리칸 화이트 자작 나무, paperbark 자작 나무, betula cordifolia, betula papyrifera, 미국 자작나무, 종이 자작나무, paperbark 자작나무, and 카누 자작나무.